An artisan-created batik print stands out against the fresh white background of this shirt. This shirt's batik print is achieved by using wax which is put on the fabric by an artisan in the pattern they want to achieve. Then the fabric is dyed. The wax is removed, leaving the desired design. Each shirt is slightly different and unique. 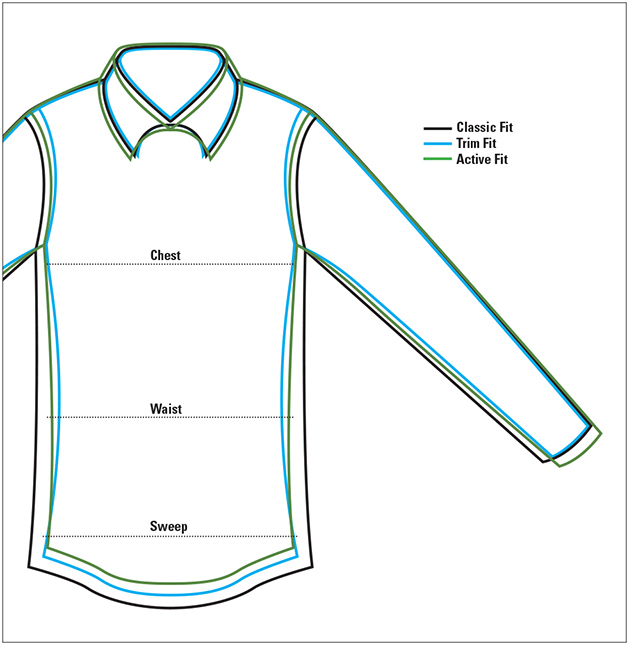 Allover "end of an arrow" print in blue on a white background with spread collar, one patch pocket, straight hem with side vets designed to be worn untucked. The perfect casual shirt for summer wear. In white/blue. Cotton. Washable. Imported.